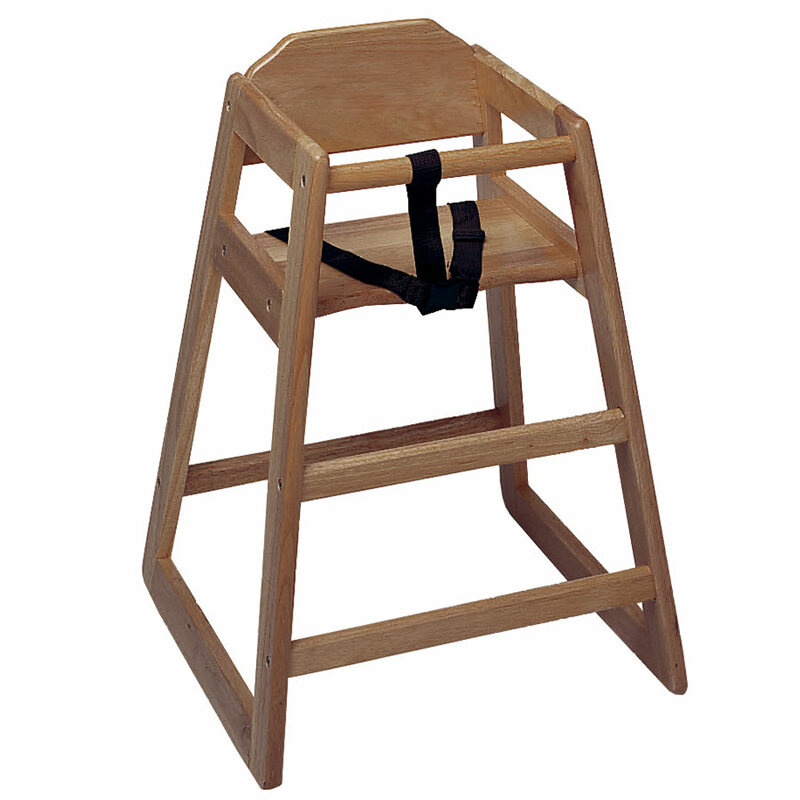 The Update WD-HCWA high chair’s sturdy wooden construction provides an upscale look. Its waist strap secures the child into the 30-inch-tall chair. This unit can be stacked with other chairs to save storage space. For more information on furniture, take a look at the restaurant furniture article.